Title: Using mathematics to fight cancer. Abstract: What can mathematics tell us about the treatment of cancer? In this talk I will present some of work that I have done in the modeling of tumor growth and treatment over the last fifteen years. Cancer is a myriad of individual diseases, with the common feature that an individual's own cells have become malignant. Thus, the treatment of cancer poses great challenges, since an attack must be mounted against cells that are nearly identical to normal cells. Mathematical models that describe tumor growth in tissue, the immune response, and the administration of different therapies can suggest treatment strategies that optimize treatment efficacy and minimize negative side-effects. However, the inherent complexity of the immune system and the spatial heterogeneity of human tissue gives rise to mathematical models that pose unique challenges for the mathematician. In this talk I will give a few examples of how mathematicians can work with clinicians and immunologists to understand the development of the disease and to design effective treatments. 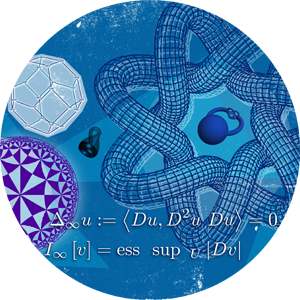 I will use mathematical tools from dynamical systems, optimal control and network analysis. This talk is intended for a general math audience: no knowledge of biology will be assumed.